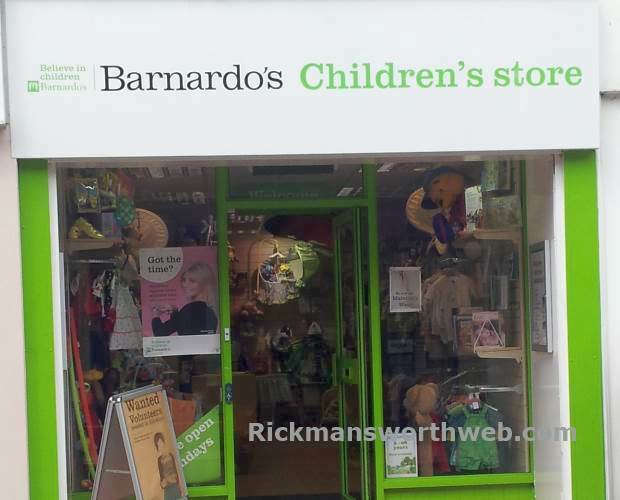 Banardos is a children’s charity shop on Rickmansworth High Street. It sells a wide range of donated items for children such as clothes, books, toys, bric-a-brac and gifts. The shop is very well stocked and staff are extremely helpful and friendly. They are always in need of donations so why not give your child’s room a spring clean and donate any items they may no longer need. All proceeds go towards changing the lives of vulnerable and disadvantaged children.